Which Lightroom Version is Right for You? The end of an era is upon us. A decade after its initial release, standalone versions of Lightroom are slated to come to an end at the end of 2017. But don’t fret – the death of the standalone does not mean the demise of the popular image editing software as a whole. What it does mean is that after Lightroom 6, users will not be able to download pertinent updates without paying a monthly subscription. As new cameras are marketed, you’ll find that they won’t be compatible with the previous standalone software. For any devoted Lightroom aficionado, signing on to the Adobe Creative Cloud will eventually become a necessity rather than an option. Luckily, Adobe has done its part to make the transition a bit sweeter. Instead of ceasing operations entirely, Lightroom has evolved into two new iterations – Lightroom Classic and Lightroom CC. More likely than not, you’re wondering what precisely separates Classic from CC. After all, based on name alone, it’s not clear what each has to offer. But don’t be fooled – there are some major distinctions between the two. We’ve highlighted five of the most important things that you’ll need to know to make an informed decision between choosing CC and Classic. Lightroom has made such a splash in the world of photography because of its ability to make a variety of global adjustments as well as organize and display images. Unfortunately, CC has had to cut some of Lightroom’s more advanced imaging features in favor of accessibility. most of Lightroom’s comparison and reference tools. Thankfully, Lightroom Classic retains everything. Though you’ll be restricted to a laptop or desktop computer if you want to utilize it, you’ll find that LR Classic is capable of performing more advanced techniques. It can even handle tasks such as merging HDR and panorama images. That being said, CC does have a few new features to offer users. Notably, in place of color labeling, CC users can instead utilize advanced AI Keywording capabilities to sort through shots. Bygone are the days of tagging your photographs – Lightroom’s software can identify content within an image all on its own. So, if CC doesn’t have all of the bells and whistles of Classic, why would a photographer choose to use it? The answer is its advanced mobile interface. For photographers on the go, LR CC’s mobile capabilities are a breakthrough. Astoundingly, CC has the power to process and edit full resolution images. For those looking to make tweaks from the comfort of their smartphone or tablet, Lightroom is finally a viable option. Better yet, CC is designed to sync up with other devices. Automatically, the program backs up cataloged images onto the cloud. This means that users can seamlessly switch between applying general adjustments on a mobile device to fine-tuning advanced edits on a computer monitor. CC has a few limitations photographers should take into consideration outside of the program’s reduced tool selection. For instance, professionals may be disappointed to learn that CC has some serious export restrictions. In fact, it’s only capable of producing JPEG files in an SRGB color space. While this may not impact every photographer, those looking to make prints or retain large file sizes will be out of luck if they stick to CC alone. Another major drawback is CC’s 1 TB storage limit. While that may sound like a lot, Lightroom users never had to take into consideration how much space their work took up in the past. For prolific image makers, it may very well be mandatory to invest in more space in order to accommodate entire photo libraries. LR Classic allows the user to utilize modules, presets, and plugins to set images apart from the crowd. Many of these options are omitted from LR CC. Finally, CC users will notice the program’s lack of modules and plugins. With Classic, it’s possible to format images for projects such as books, websites, or slideshows. While Classic can handle the addition of special features to enhance their LR experience, CC users should be prepared to stick to basics. 4. Reinvented CC interface is easy to navigate. At a quick glance, Classic looks a lot like the Lightroom most of us have grown to know and love. Not so in the case of Lightroom CC. Even longtime Lightroom users may need a quick tutorial to work their way around CC. However, doing so shouldn’t take too long. CC’s interface is designed to be easy to understand for amateurs and professionals alike. Aside from being more mobile-friendly, trimming the fat of earlier iterations of Lightroom also streamlines the editing process. CC can even potentially eliminate the task of importing photographs. This is because the program comes equipped with an advanced mobile camera of its own. When used with the iPhone 7 and up, the camera can capture RAW image files. Furthermore, the camera allows for detailed exposure and DOF adjustments and even goes to the trouble of highlighting a potential image’s sharpest points and blown out areas. Among Lightroom CC’s attributes is a sophisticated mobile camera with the ability to capture RAW image files. For those worried that Classic might just be a rehash of the existing Lightroom 6, fear not. While the immediate differences may not be evident, Classic is the undoubtably the fastest and most powerful iteration of Lightroom yet. Classic has a few neat tricks that LR 6 currently lacks. For photographers frustrated with Lightroom’s current lack of local adjustment options, there’s good news. Among Classic’s new features is a color range selection tool as well as luminance masking. Making fine-tuned adjustments easier than ever, this is a step in the right direction for image makers seeking a program that meets all of their needs. So what’s the Right Choice for You? When push comes to shove, Lightroom Classic closely resembles the software you’re already accustomed to. It offers just about every feature you can access in older versions of Lightroom. 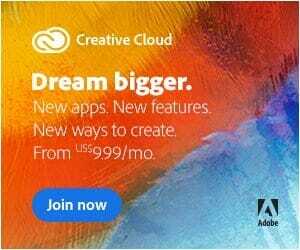 CC, on the other hand, is an entirely different beast unlike any software Adobe has previously released. In short, it streamlines some of LR’s “best” aspects into a mobile-friendly program. 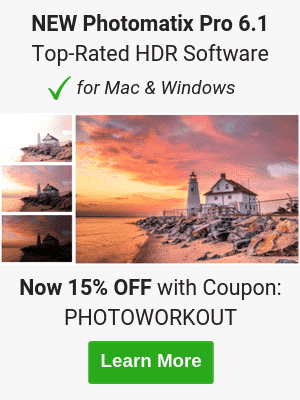 As a matter of fact, some reviewers have made the claim that CC is more reminiscent of Apple Photos than it is traditional Lightroom. For image makers seeking a program that’s easy to use but still manages to provide a professional looking end product, CC is worthy of consideration. What’s more, the software retains the advanced organizational features that most Lightroom users heavily rely on. Most professionals, on the other hand, will likely lean toward purchasing Classic. Some of the features omitted by CC are simply too important for some users to abandon outright. However, there are certainly scenarios in which CC can prove to be useful to a working photographer. Notably, CC’s ability to make instant edits from virtually anywhere is pretty tempting for any and all users working in the field. Paired with the ability to export videos and photographs directly to several major social media platforms, CC can dramatically expedite your workflow and increase your online presence. As you’ve likely gathered, each program has its own set of strengths and weaknesses to take into consideration. Don’t overthink the details – the best option out there is the one that will benefit you most. Lightroom CC is included with the Lightroom Classic subscriptions. Includes the all-new Lightroom CC, 20 GB of cloud storage, Lightroom Classic CC, and Photoshop CC. Includes all-new Lightroom CC, 1 TB of cloud storage, Lightroom Classic CC, and Photoshop CC.